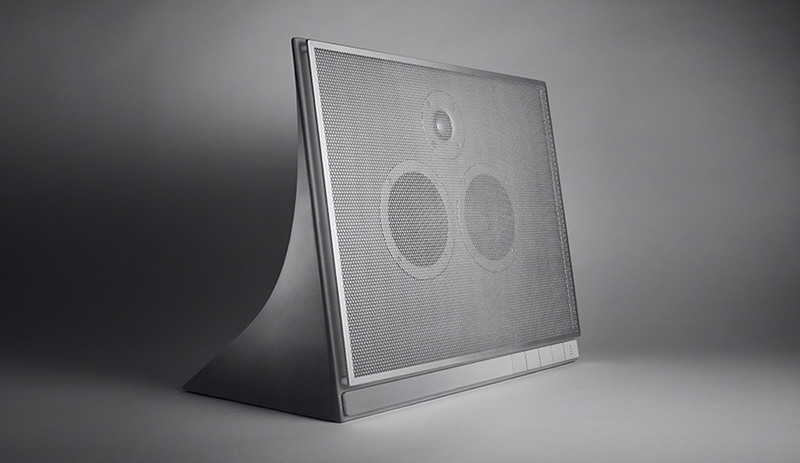 Made from a proprietary concrete composite, the MA770 Wireless Speaker connects via WiFi or Bluetooth and incorporates two four-inch woven Kevlar long throw woofers, as well as a 1.5-inch titanium tweeter. 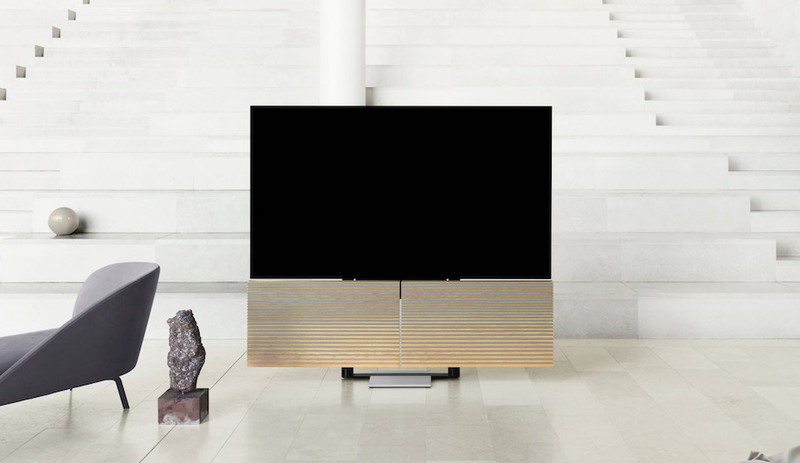 The sleek stainless steel grill is magnetically attached and can easily be removed to display the inner components and hand-finished concrete body. 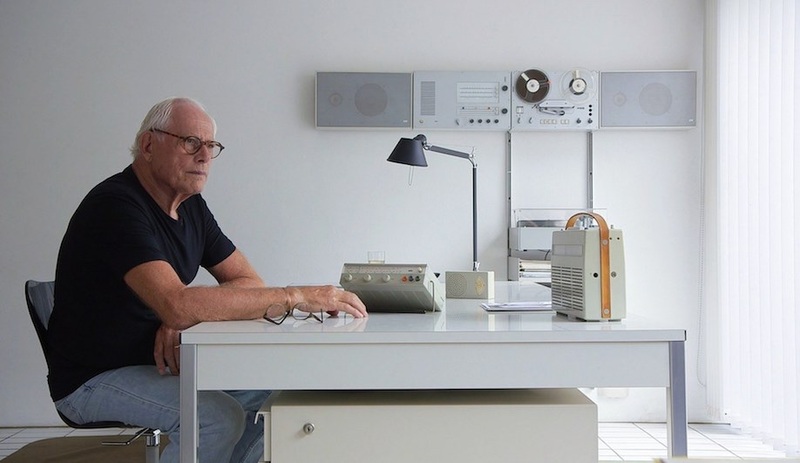 It’s available through Master & Dynamic, or the MoMA Design Store. The architect topped his previous collaborations with Miyake’s watch project with this piece, featuring a 39-millimetre-thick glass casing that reflects light from all angles. 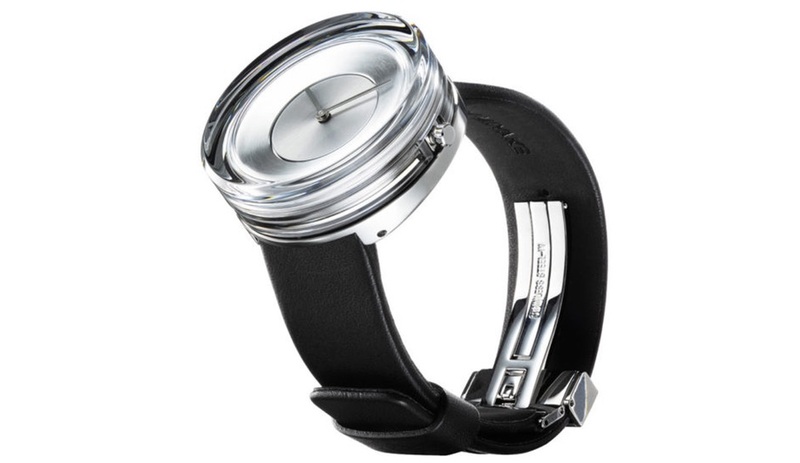 Paired with a matte black leather strap the sculptural accessory is offered with a silver or black dial, either of which is equally to suited to men or women. It’s available for purchase beginning today, November 10. 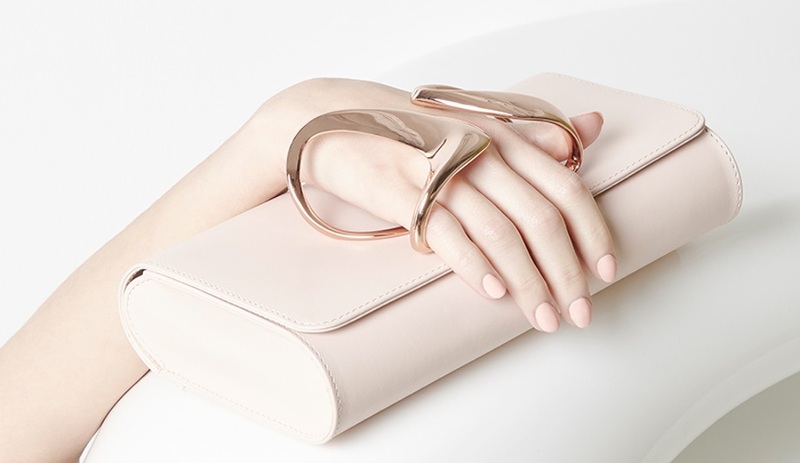 You might have to act fast to scoop up one of these leather clutches, featuring metal cuffs in classic Zaha forms. The limited edition collection includes seven designs and three cuff styles, and is the result of a collaboration that began in 2015, after Hadid received a Perrin Paris Glove clutch as a gift. This year the Italian architects added two giftable new pieces to the Colombina cutlery collection, first launched by Alessi in 2015. 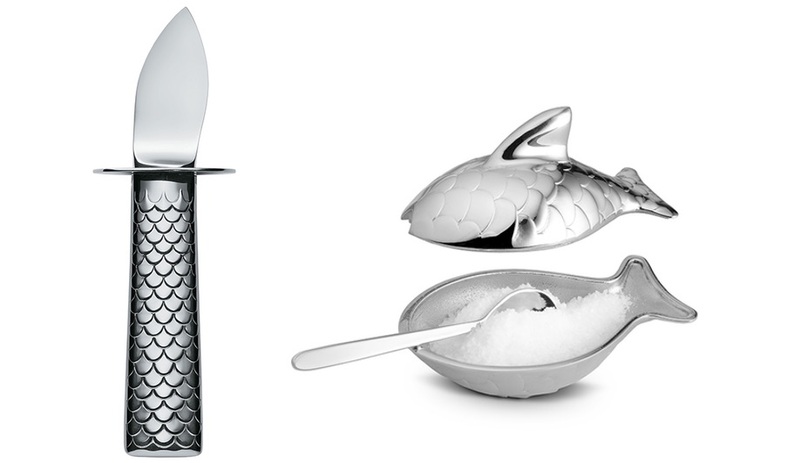 The fish-shaped salt cellar and oyster knife both feature the collection’s signature scale motif. 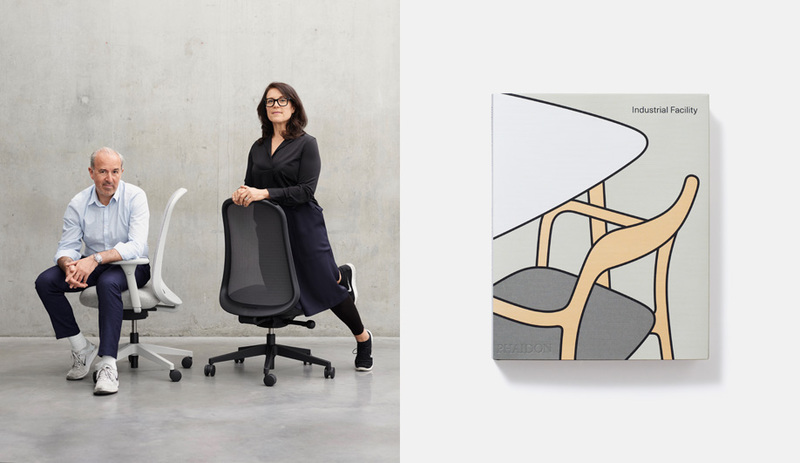 Architect Cece de la Montagne launched the Montreal-based Atelier YUL line as a result of her frustration with the lack of stylish bags that could accommodate large-format drawings. 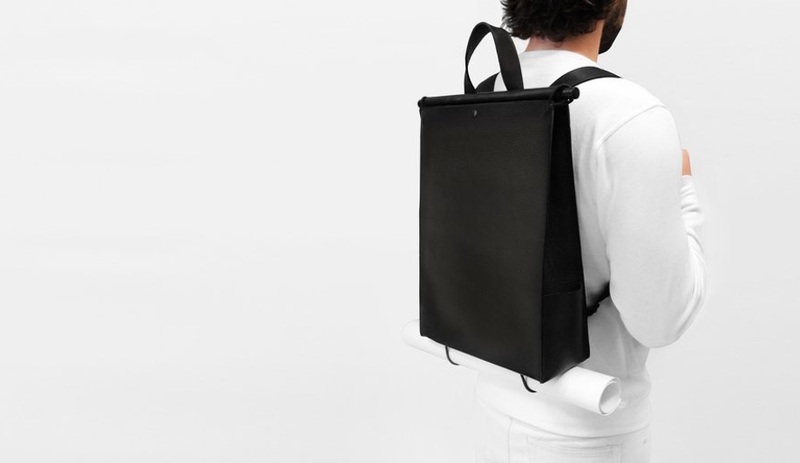 This backpack is the latest in the collection of stripped down satchels. Made from pebbled genuine leather it incorporates small bungee straps to hold a tube of drawings or architectural plans, or even a yoga mat or small tripod. 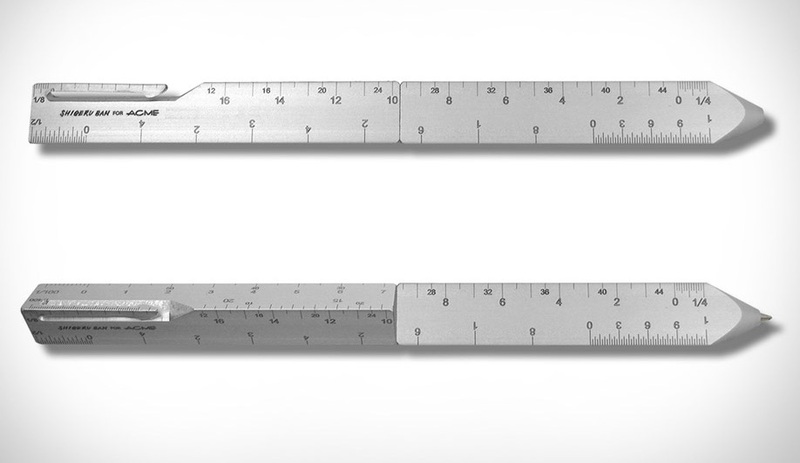 This refillable ballpoint pen doubles as an architect’s scale ruler. Laser etched on three sides, it translates various scales into actual distances on architectural drawings. Speaking of architectural drawings, this swerving motif of this quirky scarf is lifted from the traditional symbol for insulation. 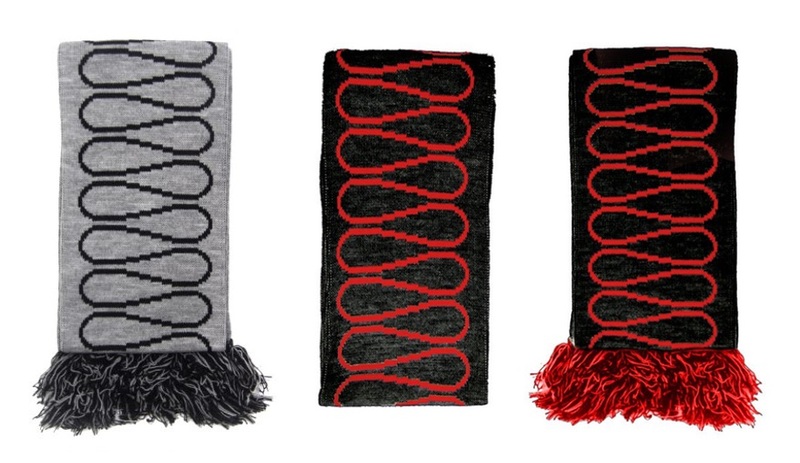 Available through the Sam Jacob Studio website, the fringed neck warmer was introduced last year in black on grey, with a black on red “CAD” version released last month. 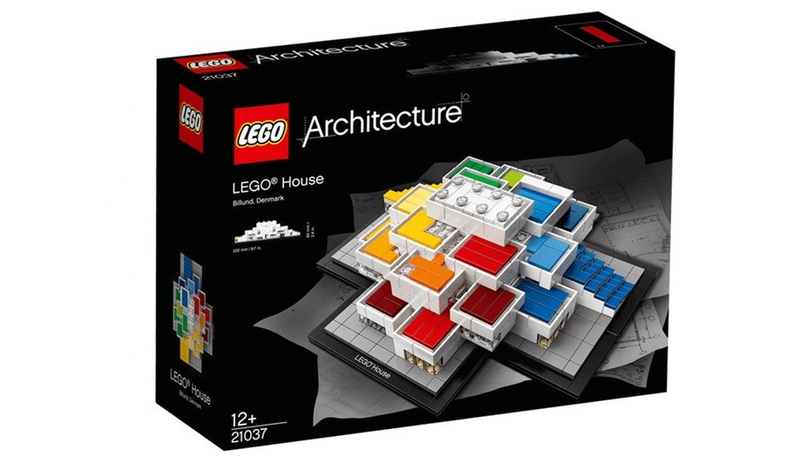 Before Bjarke Ingels’s highly anticipated project for Lego opened this fall, the structure had already been broken down into a 744-piece set for the iconic brand’s Architect Series. It might be the most meta toy ever: Ingels’s design comprises 21 stacked blocks, which are crowned by a “keystone” module, built to mimic a supersized two-by-four Lego brick. 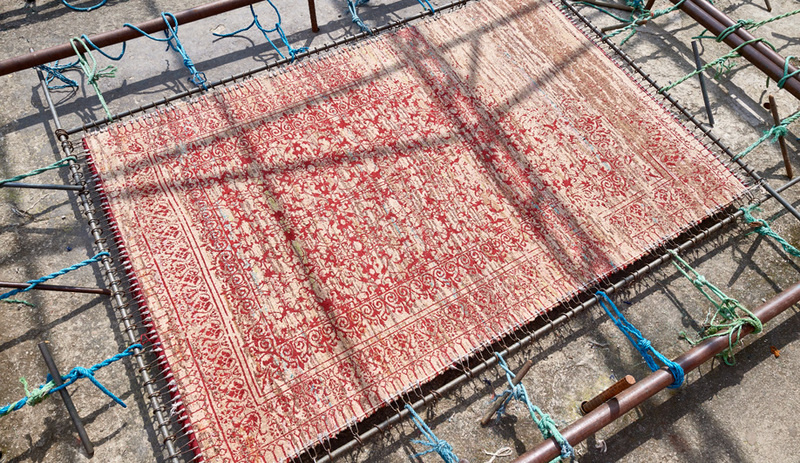 What to get for that person who has everything? 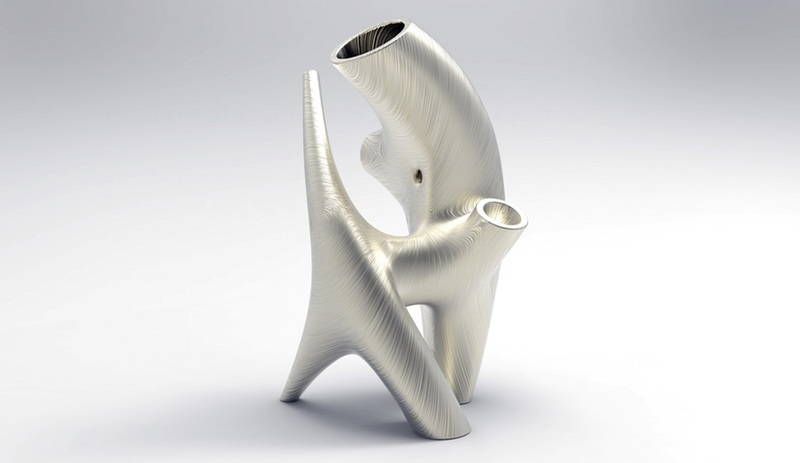 How about a $12,700 bong, in 3D-printed stainless steel? If the pricetag is a bit steep, Partisans co-founder Alex Jospehson’s collaboration with Toronto brand Tokyo Smoke also includes a less spendy version of the Io pipe,in black glazed porcelain. 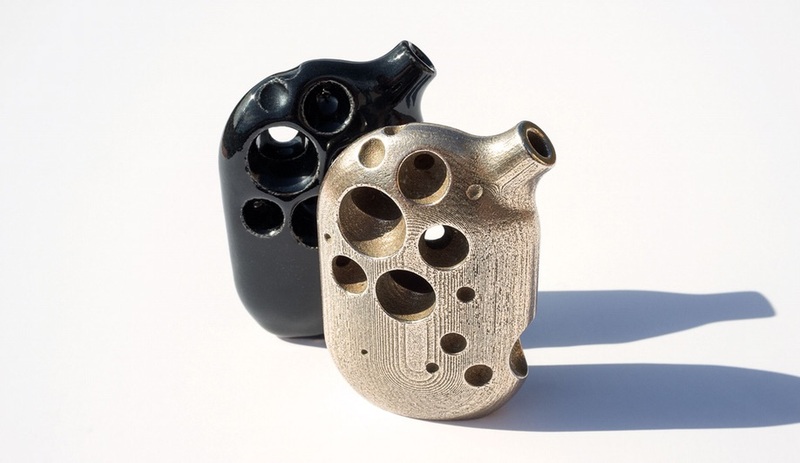 That can be picked up for about $12,000 less, or the pocket-sized Crater pipe is sold in the same materials for a fraction of the cost. 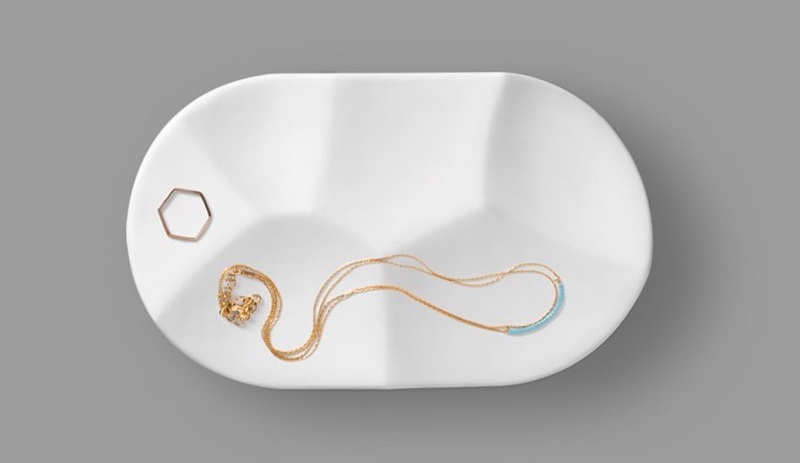 The Valencia studio first teamed with Joe Doucet’s 3D-printed brand for the sculptural Carve Pill Bowl, which features an array of recesses that can hold anything from jewelry to snacks. 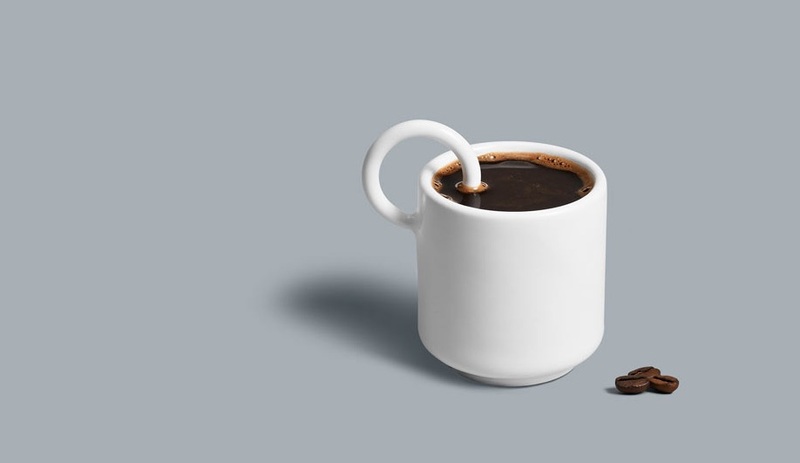 This year they followed up with Cerco, a minimal yet playful espresso cup that dunks its circular handle into the cup’s interior.